Crytek, the creators of Far Cry and Crysis, are mostly known for their shooters with a strong emphasis on singleplayer campaigns. Their Korean studio, however, has just taken the wraps off an entirely online shooter. 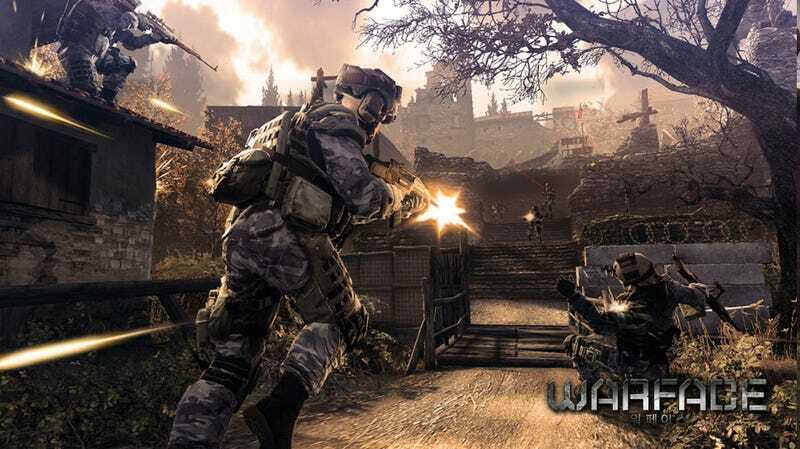 It's called Warface, a "near future" shooter for the PC that lets players either take each other on in online combat or, more interestingly, take part in "dramatic multiplayer co-op missions". It'll run on the increasingly standard "free to play" model, where downloading and playing the game is free, while the developer makes money back selling things like weapons and upgrades. Crytek Putting On A Warface? Before we go any further, you should know that as of today, it's only being pencilled in for the Korean "and other Asian" markets. The game will run on the company's CryENGINE 3 technology, just like the upcoming Crysis 2, with no release date mentioned.